In 2002 I switched from film to digital. Within a year I had begun to immerse myself in Photoshop 7. My wife called herself a "Photoshop Widow" as I carefully progressed through the DVD training by Deke McClelland (8 DVD's). I now have thirty such DVD trainings on all aspects of Photoshop. I have also become a NAPP member (National Association of Photoshop Professionals), and attended every workshop that has come to Denver. My proficiency has grown, as has my upgrades (currently to CS6, combined with Lightroom, DxO, Aurora and OnOne plug ins). I have found this program the most difficult I've ever tried to master, but also the most creative. I can happily spend hours over a Photoshop project, in what psychologists call being "in the zone". I also can't leave an image alone without Photoshop tweaking, and prodding. This has lead to commercial contracts to design business cards, book covers, and brochures. 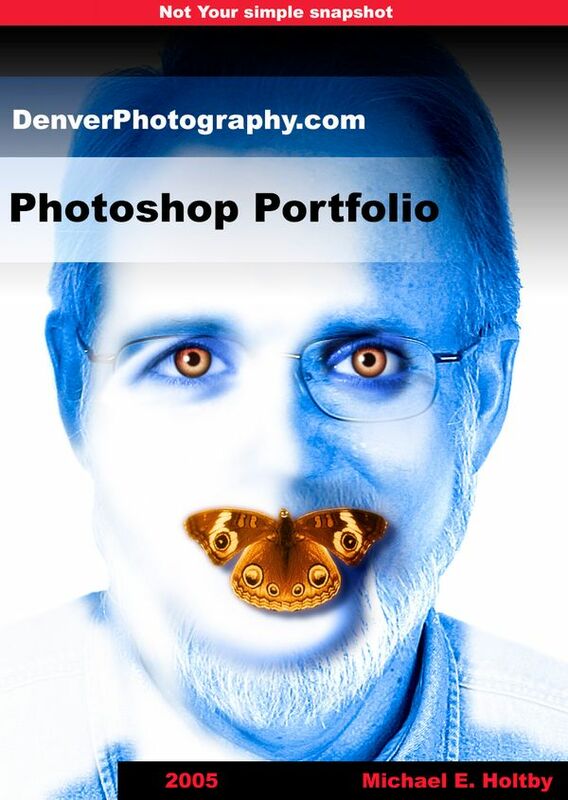 I am also the instructor for "Photoshop for Photographers", at Colorado Free University. My services available for your project!